Today is the anniversary of the Whiskey Rebellion. On this date in 1794, farmers in western Pennsylvania rebelled against a federal tax on liquor by tarring and feathering tax collectors and torching their homes. It was one of the first tests of federal authority for the young United States. In response to the uprising, President George Washington called in more than 12,000 Federal troops. The rebels put up little residence, fleeing to hide in the woods. Twenty were captured, and one man died while in prison. Only two of the rebels were convicted of treason, and both of these men were eventually pardoned by Washington (1). There is a long tradition of sin taxes in America, and it may be a bad pun, but on what other day can you celebrate the syntax of English sentences? Syntax is simply the way writers put together phrases and clauses to make sentences. Knowledge of syntax helps writers create more varied sentences. For example, variety in sentence openings is an important feature of good writing. Starting with the subject is a natural feature of English sentences, and there is nothing wrong with it. However, if every one of your sentences begins with the subject, your writing will sound monotonous and lifeless. Three effective methods for adding variety to sentence openings are using prepositional phrases, participial phrases, and absolute phrases. Let’s look at how you can manipulate a sentence’s syntax to open in a variety of ways. I. Open with a Prepositional Phrase: These phrases begin with a preposition and end with a noun, such as: on the roof, over the rainbow, in the garden, from the city, out the window. Original Sentence: The students gathered in the cafeteria to watch the multimedia presentation on dental hygiene. Revised sentence, opening with a prepositional phrase: In the cafeteria, the students gathered to watch the multimedia presentation on dental hygiene. II. Open with a Participial Phrase: These phrases begin with a verb (often in the -ing form) that works like an adjective to modify a noun, such as, eating a sandwich, mailing a letter, or singing a song. Original Sentence: Bill killed time waiting for his dentist appointment by reading a magazine article on effective flossing techniques. Revised Sentence, opening with a participial phrase: Reading a magazine article on effective flossing techniques, Bill killed time waiting for his dentist appointment. III. Open with an Absolute Phrase: These phrases begin with a noun or pronoun followed by a participial phrase, such as her arms folded, her voice soaring, or eyes focused. Original Sentence: The boxer jumped rope. Revised Sentence, opening with an absolute phrase: His feet barely grazing the ground, the boxer jumped rope. Can you craft a sentence that has at least one prepositional phrase, one participial phrase, and one absolute phrase? Look at the example sentences below and see if you can identify the prepositional phrase, participial phrase, and absolute phrase in each. Then, write the opening sentence of a short story that contains at least one prepositional phrase, one participial phrase, and one absolute phrase. Her melodic voice singing out loud and strong, Mary astonished the concert goers in the opera house, bringing the entire audience to tears. Sitting in the chair, Max, a handsome young man with blond hair, read the book, his mind captivated by the unfolding mystery. 2 – Backman, Brian. Thinking in Threes: The Power of Three in Writing. Fort Collins, Colorado: Cottonwood Press, Inc., 2005. Today is the birth date in 100 BC of Julius Caesar — Roman general, statesman, and dictator. To begin with, then, when the pirates demanded twenty talents for his ransom, he laughed at them for not knowing who their captive was, and of his own accord agreed to give them fifty . . . . For eight and thirty days, as if the men were not his watchers, but his royal body-guard, he shared in their sports and exercises with great unconcern. He also wrote poems and sundry speeches which he read aloud to them, and those who did not admire these he would call to their faces illiterate Barbarians, and often laughingly threatened to hang them all. The pirates were delighted at this, and attributed his boldness of speech to a certain simplicity and boyish mirth (1). Caesar made good on his threat. After he was released, he pursued the pirates with his fleet, captured them, and executed them. A student of rhetoric and oratory, Caesar knew the power of the tricolon, the use of three parallel words, phrases, or clauses to generate sentences with rhythm, clarity, and panache. There is something special, perhaps even magical, about the number three, and when combined with the power of rhythm and repetition, what results is an unforgettable recipe for rhetorical resonance. We see it in the Declaration of Independence: “life, liberty, and the pursuit of happiness.” We see it in religion: “Father, Son, and Holy Spirit.” We see it in films and television: “The Good, the Bad, and the Ugly” and “It’s a bird! It’s a plane! It’s Superman!” And we see it advertising: “The few, the proud, the Marines” (2). Balance and rhythm with two elements is good. This is called isocolon, as in “Roses are red, violets are blue.” And four works too. It’s called tetracolon, as when Winston Churchill told the British people that he nothing to offer but “blood, toil, tears and sweat.” But you just can’t beat the rule of three; it’s the most ubiquitous, the most memorable, and the most magical of them all. No wonder newly reelected President Barack Obama used 21 tricolons in his 2008 victory speech (3). Mourning his dead father, berating his clueless mother, and continually contemplating the murder of his remorseless, treacherous, and lecherous uncle, Hamlet is not having a good day! Something, indeed, is rotten in the state of Denmark, and it’s not just the fish from last week’s dinner that’s been festering in the corner of the Castle Elsinore’s Kitchen. 2- Backman, Brian. Thinking in Threes: The Power of Three in Writing. Austin, Texas: Prufrock Press, 2005. Forsyth, Mark. The Elements of Eloquence: How to Turn the Perfect English Phrase. London: Icon Books, 2013: 84-88. 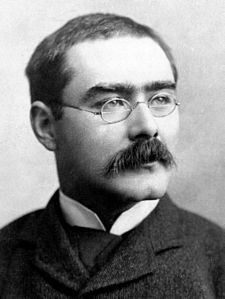 In addition to his well known fiction, Kipling was also a poet. In 1910, he published the poem “If,” which remains today one of the best known poems ever written in English. Written in the voice of a father giving advice to his son, the four-stanzas of the poem make up a single 283-word sentence. More specifically, the single sentence is a complex sentence constructed in the form of a periodic sentence, a sentence that begins with subordinate phrases or clauses, and ends with the main clause. In the case of Kipling’s poem “If,” he crafts twelve subordinate clauses, each beginning with the subordinating conjunction “if,” and ends with an independent clause. Each of the “if” clauses provides conditions or prerequisites for manhood. The speaker in the poem, the father, concludes with a statement, saying in effect, by making the choice to do these things, you will be a man and the world will be yours. The structure of Kipling’s poem demonstrates the power of the periodic sentence. Certainly no one is writing 200-word sentences these days; however, using a periodic structure that begins with a string of subordinate ideas is a nice technique for drawing your reader in and building dramatic tension. The periodic structure also allows a writer to capitalize on the rhythm created by parallel structure and the anticipation created by compounding details (1). Subordination is a fundamental aspect of writing that is used for more than just periodic sentences. Subordination in syntax relates to a method of constructing sentences where some of the ideas in a sentence are dependent on other parts. Bill loves to read. Bill is always carrying a book. Because he loves to read, Bill is always carrying a book. Instead of two simple sentences, we now have a single complex sentence, a sentence with one independent clause and at least one dependent clause. In the sentence about Bill, the clause “Because he loves to read” is dependent because it cannot stand alone; it needs the independent clause “Bill is always carrying a book” in order to form a complete thought. Although he loves to write, Bill’s favorite pastime is reading. After Bill gets home from school, he sits down and reads the newspaper. If Bill gets money for his birthday, he plans to buy some new books. What is a specific skill you have or an activity you participate in that you would be willing to promote for the general public? What makes this skill or activity so worthwhile? Use subordination to write the introduction to a “how to” speech that provides direction on how to achieve something desirable. Begin with “if” clauses that give your audience the WIIFM, or “What’s in it for me.” Structure your subordinate clauses using parallel structure to give your sentence clarity and rhythm. Crafting a periodic sentences using this structure will build your audience’s interest and anticipation to learn more about your topic. 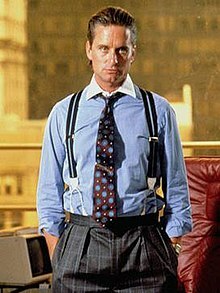 If you want to be the life of the party, if you want to impress strangers on the street and make money while you’re doing it, if you want to learn a life-long skill that will keep you active and provide you with mental stimulation, if you want to challenge your ability to persevere and improve your hand-eye coordination, and if you want a form of mediation that won’t allow you to fall asleep, then learning to juggle is the way to go. 1-Forsyth, Mark. The Elements of Eloquence. London: Icon Books, 2013: 47. On this day in 1954, Ernest Hemingway received the Nobel Prize for Literature. Because of illness, Hemingway was unable to attend the Nobel Banquet in Stockholm, Sweden to receive his award in person. He did, however, prepare a brief speech which was read by John C. Cabot, United States Ambassador to Sweden. Writing, at its best, is a lonely life. Organizations for writers palliate the writer’s loneliness but I doubt if they improve his writing. He grows in public stature as he sheds his loneliness and often his work deteriorates. For he does his work alone and if he is a good enough writer he must face eternity, or the lack of it, each day (1). 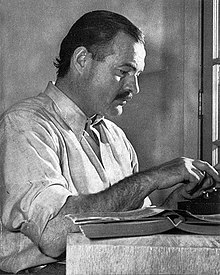 Characteristic of Hemingway’s writing, all four sentences in the paragraph above are declarative, that is they are sentences in which the subject precedes the verb, and they are sentences that make direct statements. Unlike interrogative sentences, they do not ask questions (Why is writing a lonely life?). Unlike imperative sentences, they do not make commands (Write everyday no matter what.) And unlike exclamatory sentences, they do not express strong emotion (Writing is hard work!). All you have to do is write one true sentence. Write the truest sentence you know. So finally I would write one true sentence, and then go on from there. It was easy then because there was always one true sentence that I knew or had seen or had heard someone say. If I started to write elaborately, or like someone introducing or presenting something, I found that I could cut the scrollwork or ornament out and throw it away and start with the first true simple declarative sentence I had written. 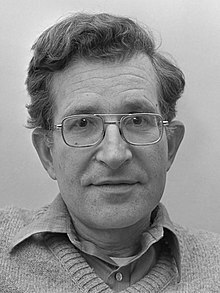 Published in his 1957 book Semantic Structures, Chomsky’s famous sentence illustrates the difference between two essential elements of language: syntax and semantics. Syntax relates to the grammar of a language or the order in which words are combined. Semantics, in contrast, relates to the meaning of individual words. Chomsky’s sentence illustrates the difference between syntax and semantics, showing that a grammatically or syntactically correct sentence can be constructed that is semantically nonsensical. What are some adjectives, nouns, verbs, and adverbs that all begin with the same letter of the alphabet? Try your hand at constructing a syntactically correct, yet semantically nonsensical sentence. For an added layer of interest, use alliteration by selecting words that begin with the same letter. Raging red rainbows read raucously. Soggy superfluous sunflowers swim softly. On this date in 1984, American author, playwright, and screenwriter Truman Capote died of liver cancer at the age of 59. Born in 1924 in New Orleans, Louisiana, Capote greatest fame came not from his fiction but from his nonfiction novel In Cold Blood published in 1966. Capote spent four years researching the book, which is based on the murder of a family on their Kansas farm in 1959. The book essentially pioneered the true crime genre. Generate a title of your own for a book or movie; make sure, however, that your title contains at least one prepositional phrase.